Heard a lot about the Mall Road in Mussoorie and want to explore it to the hilt? Well, you will be more than happy to do that as this is truly a shopper�s delight with everything under its umbrella. The crowded and bustling stretch is always buzzing with people, locals and tourists alike. It houses several shops that sell a plethora of items, you can find anything here. 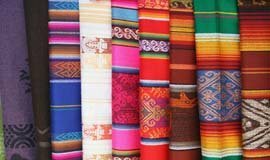 From wonderful local handicrafts, snuggly woollen clothes, exquisite paintings, stylish shoes to excellent wooden carvings, they have them all and more. As all this is a part of street shopping, bargaining is the need of the hour when here. One of the most popular shopping precincts in this scenic hill station, The Mall is like the lifeline of Mussoorie with almost everything located on this very stretch. Be it attractions, hotels, restaurants, shops- The Mall houses them all. Can�t wait to explore? Well, we heard you right! . It's time to make space for some amazing goodies in your bags when you head to Library Bazaar. 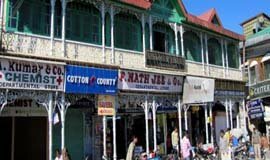 You can experience the vintage charm by taking a stroll in this famous Bazaar in Mussoorie. Known for its bustling streets with small shops that offers a true shopping delight, the Bazaar is a must visit on a tourist�s list. It is also known as Gandhi Chowk as it has a huge statue of Mahatma Gandhi at one of its corners. 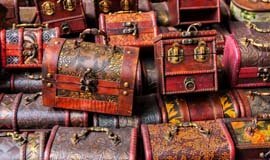 Don't forget to haggle before you shop for your favourite stuff as the shopkeepers may quote higher prices for tourists. 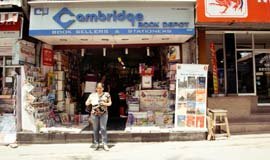 If you are an avid book lover who wants to read or buy a new book while holidaying in Mussoorie, make your way to the Cambridge Book Depot. A famous book store, it has a wide collection of literature from all across the globe. One major highlight of this place is that the famous author, Ruskin Bond, visits the Cambridge Book Depot every Saturday evening at 4 PM. As a result, the store is usually packed with visitors keen to meet Ruskin Bond on Saturdays. Welcome to Classic Emporium, a one stop solution for you if you are looking for home decorative items, stunning jewellery, Porcelain, Tibetan Handicrafts and Indian handicrafts. 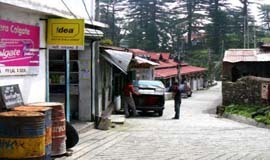 Initially started as a manufacturing and supplying unit for walking sticks, the place has evolved as a major shopping destination in this pristine hill station. 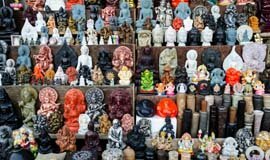 You will surely love the collection of eye-catching local handicrafts, elegant candles and candle stands, porcelain figurines, handmade jewellery boxes, wooden articles and magazine racks to name a few. Established around 38 years ago, the place boasts of an amazing collection which you will surely love to explore on your visit! 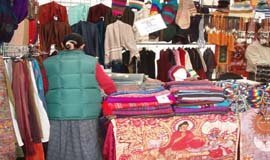 For Shoppers, Mussoorie has an age old market called Sisters Bazaar. You'll find here few shops from where you can buy souvenirs for family and friends. It has tea stalls serving ginger tea and omelettes with a taste that will leave you wanting for more. Also. 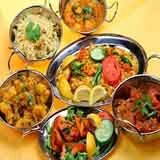 there is a famous confectionery by the name of Prakash Brother, famous for its Cheddar Cheese. The area offers enchanting walks and treks. One of them is the beautiful Fairy�s Glen that leads you to Tehri Road. 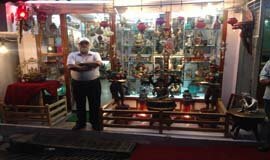 Located on the Mall Road, Gandhi Chowk is a busy street market that is famous for its Chinese vases, mementos, trinkets and carved wooden boxes.